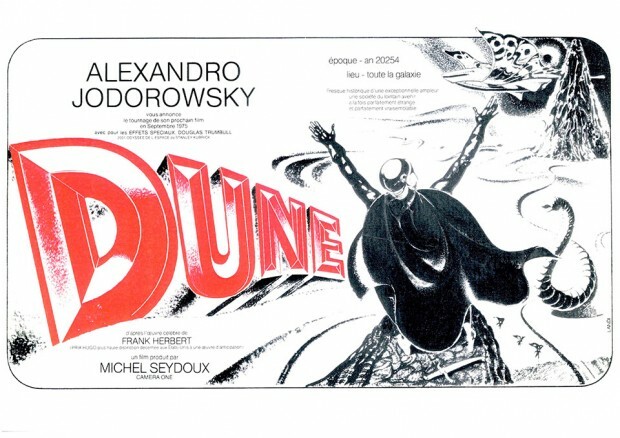 Jodorowsky’s Dune is a documentary film about the failed making of a film adaptation of the stellar sci-fi novel, Dune, by cult film director Alejandro Jodorowsky. The documentary film was made by director Frank Pavich and follows the fate of the Dune film that was never made, but has nonetheless influenced sci-fi filmmaking for decades after. The film was to star Orson Welles, Mick Jagger, David Carradine and the score was to be done by Pink Floyd. Jodorowsky’s Dune is currently playing the film festival circuit and looks absolutely fascinating. We’re watching for it to appear in a local theater or perhaps become available on a streaming service.